Don’t let pediatric eye disease compromise their childhood memories. We can help. Proper eyesight is fundamental to your child’s social and educational success as well as their ability to clearly focus on their surroundings. 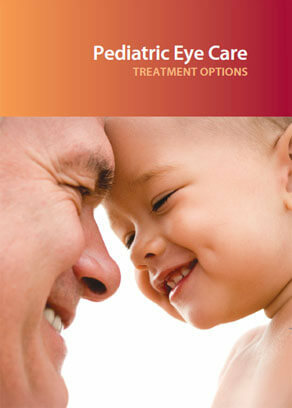 It’s never too early to learn about and combat the onset of eye disease in your child. From comprehensive care to highly-specialized treatment of your child’s condition, the pediatric eye care specialists at Eye Consultants of Pennsylvania, PC, offer a full range of eye care services for infants, children, and young adults. With strabismus, the eyes are not aligned correctly. One eye looks at the target while the other eye can be turned inwards (esotropia), outwards (exotropia), or upwards (hypertropia). Misalignment of the eyes may occasionally be a sign of serious underlying ocular or neurologic problems. Strabismus is best treated in early childhood to have the best chance of developing normal binocular vision. Esotropia is often associated with visual loss caused by amblyopia, which also must be treated in order to have the best possible visual development. The treatment of strabismus depends on the patient’s type of strabismus and must be tailored to the individual child. Treatments include glasses, eye exercises, and eye muscle surgery. During strabismus surgery, the muscles that move the eyes are weakened or strengthened in order to align the eyes properly. Treatment of strabismus can greatly improve a patient’s appearance and binocular vision. What is Exotropia? Accommodative Esotropia? Exotropia, the outward drifting of the eye, occurs in approximately 1% of the pediatric population and often develops between 6 months and 5 years of age. Exotropia is most noticeable if your child is tired or becomes inattentive. Treatment includes glasses, eye exercises, and surgery. Accommodative Esotropia, the inward turning of the eye, is another type of strabismus that commonly occurs in children two years of age or older. This condition is most noticeable when your child looks at things close up. Treatment includes glasses, patching, and surgery. Alternate therapy options for this and Exotropia may be available and should be discussed with your doctor. Amblyopia, also called “lazy eye,” affects 2% of children. Amblyopia occurs when a child’s developing brain does not learn to see properly with one or both eyes. Strabismus may be one cause of amblyopia; with strabismus an eye is misdirected and the child “turns off” the drifting eye. Amblyopia also may occur when a child needs glasses for just one eye or strong glasses for both eyes. Congenital cataracts or drooping eyelids may also cause amblyopia by preventing the developing brain from working with the eye. Unless treated in childhood, amblyopia will persist into adulthood causing permanent visual loss. Treatment of amblyopia may include glasses or contacts to properly focus the light into the eye. Other treatments may also include eye drop therapy or patching of the better seeing eye, thus training the brain to use the amblyopic eye. Unfortunately, amblyopia may not be obvious and is often not detected until later in childhood. However, early treatment of amblyopia usually achieves the best results. Convergence insufficiency (CI) is a common eye muscle coordination problem in which the eyes have difficulty converging when reading or doing close work. An individual with this condition must use extra convergence effort to force the eyes to turn in. This additional effort can cause a number of symptoms such as eyestrain, headaches, blurred vision, double vision, difficulty concentrating, loss of place and concentration, and reading slowly. Results of a recent study demonstrate that a 12-week program of office-based therapy by a trained therapist along with additional home reinforcement is the most effective treatment for this condition. 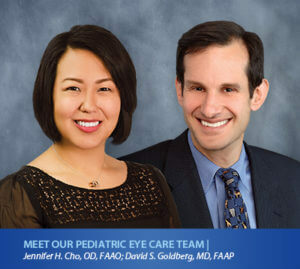 Our Pediatric Eye Care Surgeons utilize the latest technology and enjoy an excellent reputation — one of high patient satisfaction and outstanding results. From the first moment a friendly staff member greets you until your surgery is performed in one of our state-of-the-art surgical suites, you’ll receive the compassionate care and personal attention that you deserve. Make your appointment to meet one of our Pediatric Eye Care Surgeons and discover how we can make your child’s world a brighter, clearer place.